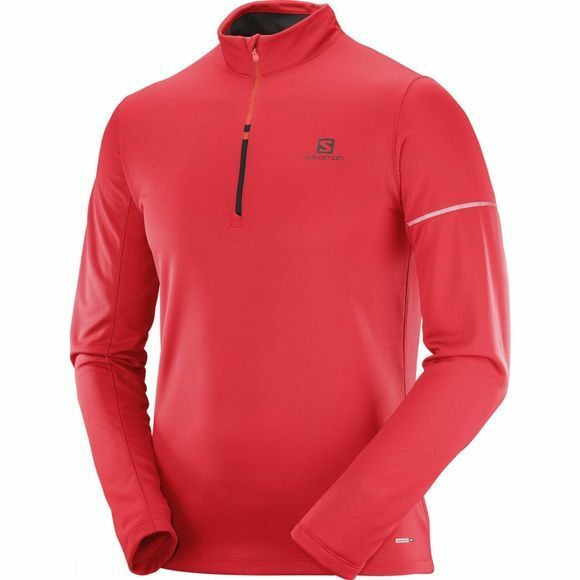 The Men's Agile Warm Half Zip Mid Top from Salomon is a great option for early morning and late evening workouts. Thanks to the AdvancedSkin Warm fabric it is warm enough to keep you comfortable from a chill but breathable enough to help you remain comfortable once you start your work out. It features a high neck with a half length zip for excellent ventilation as well as making it easy to get on and off and the thumb loops at the cuffs helps to keep the sleevs in place and aid heat retention.